Hi! My name is Katy and I blog at Scotty Boy and Katy Girl. Four years. That’s how long I waited for him. I met Scotty in August of 2000 when I was 19 and he was 22. I pulled into the parking lot of my apartment complex, and he was waxing his surfboard. We met and realized we lived next door to each other. I remember thinking that he was really nice and had really pretty eyes. Since we lived next door to each other, I was able to get to know him quite a bit. Above everything else in his life, he was sold out for the Lord. It was such an attractive quality, and I remember writing in my journal in October of that year that I really felt like I could marry him. Needless to say, Scott barely remembered my name. To him, I was just this young girl –next -door. He was funny, smart, cute, dedicated, a great friend, and loved God. This little crush grew into these deep feelings that I literally prayed about every single day – and, mostly, I kept this secret to myself. He would say now that he thought I was immature and a little bit “too much.” I’m sure he was right. Still, we became great friends. We laughed a lot, had good conversations – and somehow something made me keep holding on. In the fall of 2002, after he had finished his Construction Management degree, Scotty moved to England to pursue a degree in Biblical Studies at a Bible college. It was devastating for me. I knew my feelings were very strong for this boy. I really felt in my heart of hearts that he was who I was supposed to marry. We exchanged letters, emails, and even a few phone calls. When he would come home to visit, he would always make a point to spend time with me. It was very confusing for this fragile little heart of mine. He loved me as a friend; that’s it. A good friend, a comfortable friend – but nothing more. Friends that were close to me would tell me to let go. But I kept holding on. He was who I was going to marry. Finally, in fall of 2003, I knew it was time. Time to move on, time to let go, time to heal. It had been 3 and ½ years at that point. So I let go of my pride and wrote him an email. I told him I just couldn’t do it anymore. I told him I had deep feelings in my heart for him. I needed him to stop contacting me, so that I could let go and move on. He wrote back and said he understood. He said he respected me and that he would not contact me. It was hard – I was heartbroken. But I knew it was the right thing. For the first time in my life, I allowed God to be enough for me. My relationship with the Lord grew to new levels – I was content and satisfied. I was ready to go anywhere and do anything for Him. And then Scotty called. He was moving home from England and wanted to come visit my family over Christmas break. My heart was so confused – but I trusted Scott. I knew that if he respected me, he would not play with my emotions. We had a great time and that sparked the beginning of something so sweet. It wasn’t all easy leading up to us finally getting together and dating. Lots of confusion and lots of prayer. 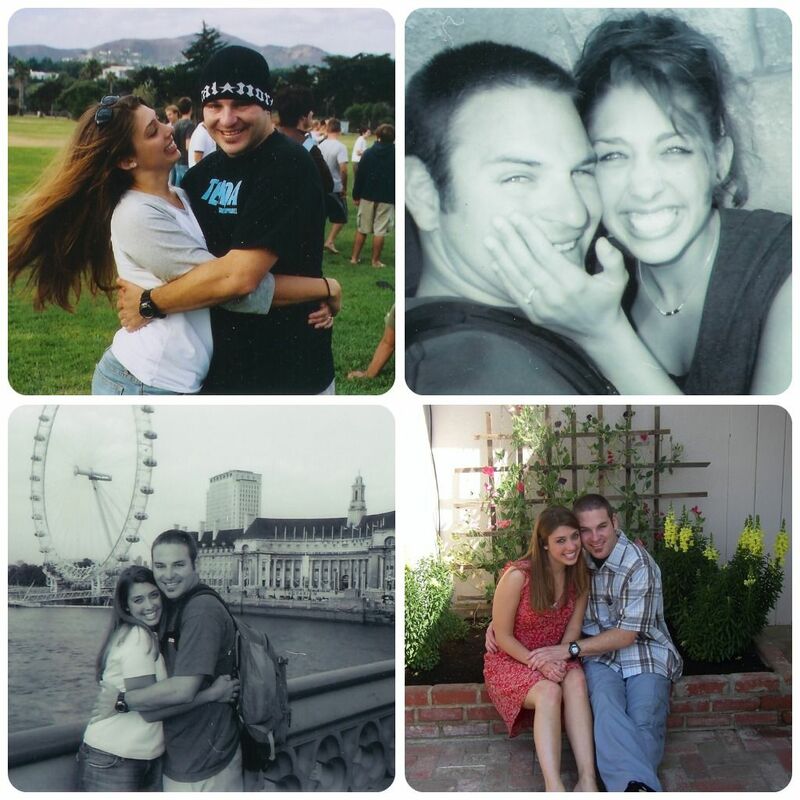 But 7 years ago my sweet husband finally called me his girlfriend after 4 long years! Oh, how I waited to hear those words. He said it took so long because he wanted to be sure. Sure that this was God’s plan, sure that this was a forever type of thing. And sure he was. After 6 months, he put a ring on my finger and I said yes. 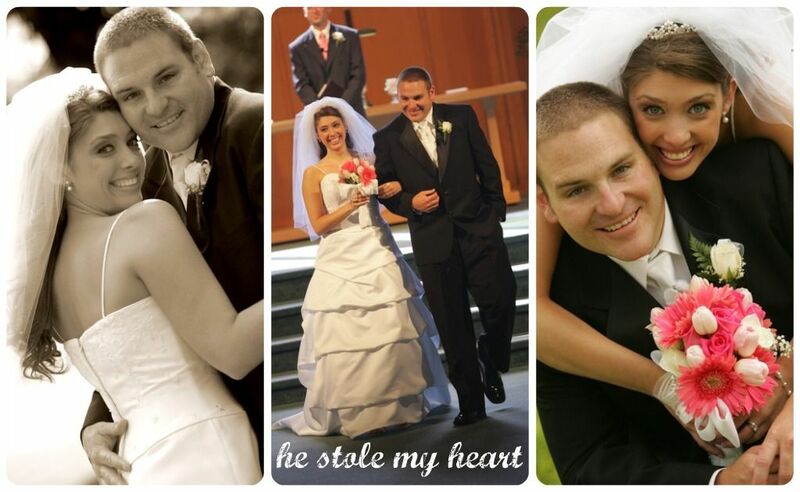 We got married in April of 2005. It was a perfect day. But like anything in life, sin can easily enter a marriage if we aren’t careful. Satan likes to destroy. I have made a lot of deeply hurtful and corrupting mistakes in my marriage. I have taken advantage, I have given up, and I have made choices that Scotty had every right to walk away from. In October of 2008, Scotty had a choice to make. And he chose to stay. The facts aren’t important here on the internet. The story is for another day and another time. But the fact that we are still married and Scott has faithfully stayed with me is a testament to the Lord. God has saved us! Picked us up from a pit so deep that I just didn’t know if we could come out of it. 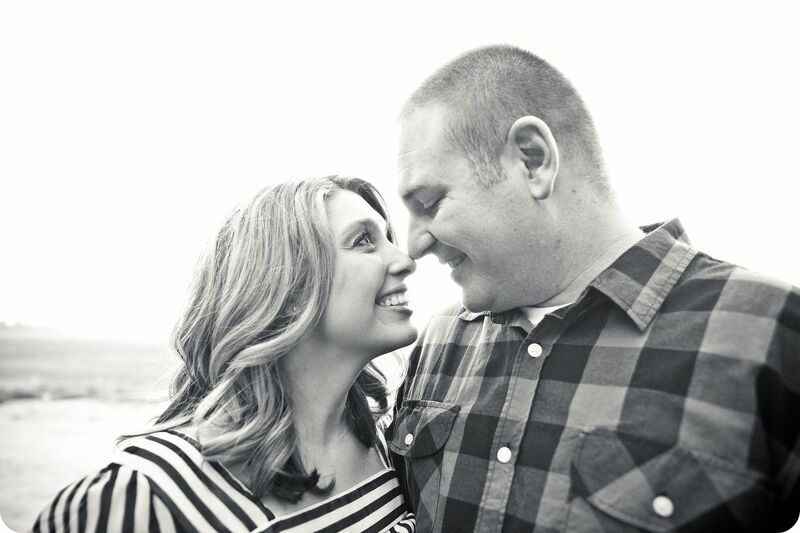 We have worked incredibly hard to get our marriage back on track and back to something that brings God glory. For a year, we went to counseling. For a year, we depended on the Lord, each other and friends that surrounded us. For a year, we worked extremely hard. We clung to each other, we grew in ways we didn’t know possible. We celebrated. 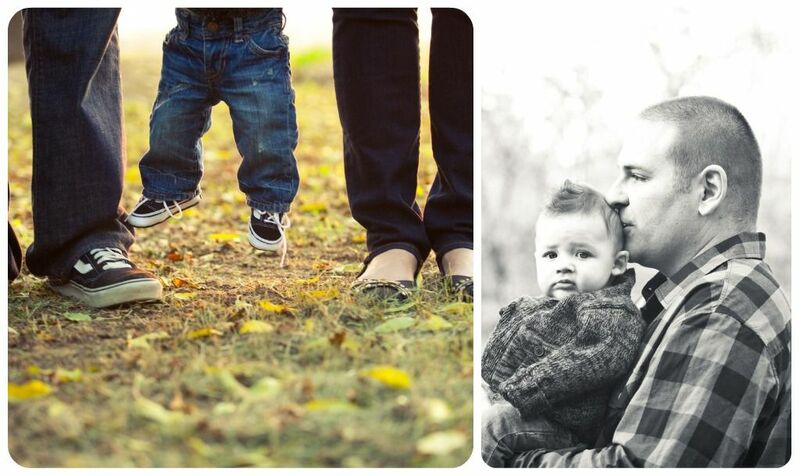 And to the day, exactly a year of restoration later, we found out we were pregnant with our first son, Miles. 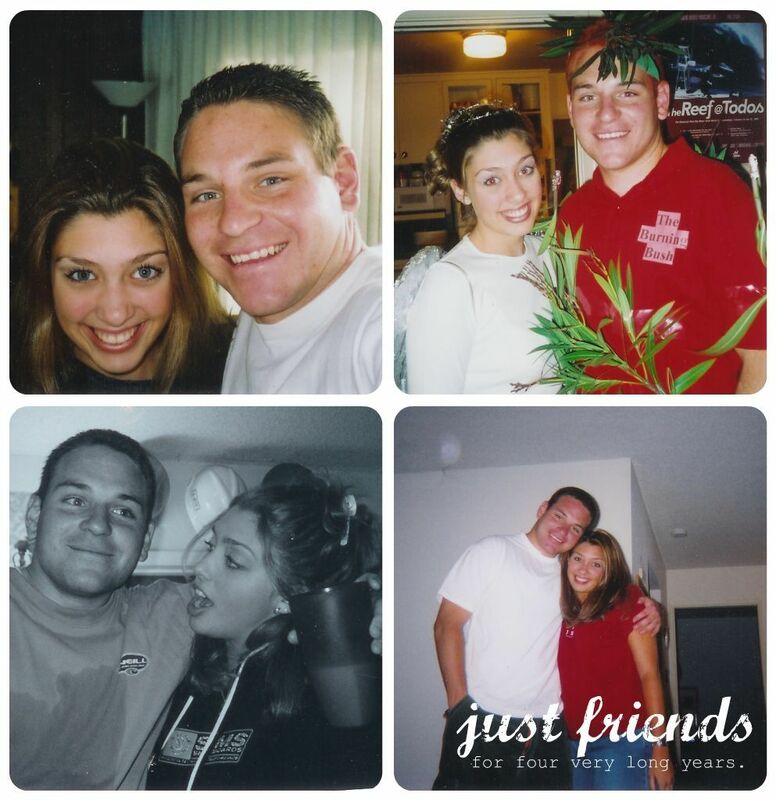 That summer of August 2000, I met the greatest person I have ever met. He is strong and gracious, funny and loving. He has pushed me to be a better person, and I can’t imagine a day without him. He is everyone’s friend; he is smart and knowledgeable. He’s a great gift-giver, he is incredibly thoughtful, and he is goofy and wild. He’s the life of the party and can hold a great conversation. He loves God with all of his being – and he loves me more than I could ever deserve. It’s only been 6 years of marriage. And already, God has done so much. I can’t wait to hear what I’ll be saying in 50 years. Thanks, Katy. That was a beautiful story. Your little boy is stinkin' cute! What a sweet family. I love the picture of the 3 of them, showing just their feet. I love Katy so much. Their story is so sweet. It makes me so happy to read these Danni! love this. it's all worth the fight...God is so good to us even when we betray him daily. it is awesome that your husband got to illustrate, in a super tangible way, how forgiveness looks. What a beautiful story, Katy. Thanks so much for sharing it with us. I'm loving reading all these love stories. It's so inspiring..thank you for sharing yours. And Danielle thank you for posting all these. such a beautiful story Katy!! LOVE it. I love the "love stories"
I wish the whole world would just trust in the Lord already. That was such an amazing story. Thank you for the reminder of how faithful God is. I appreciate you sharing about your love, and being vulnerable too. GORGEOUS couple <3 gorgeous love story! Love this! And love you both so much! So honored to be on this next stage of the journey with you two! Love this! 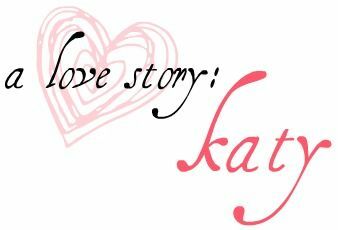 Love Katy and her willingness to share her life and love story!